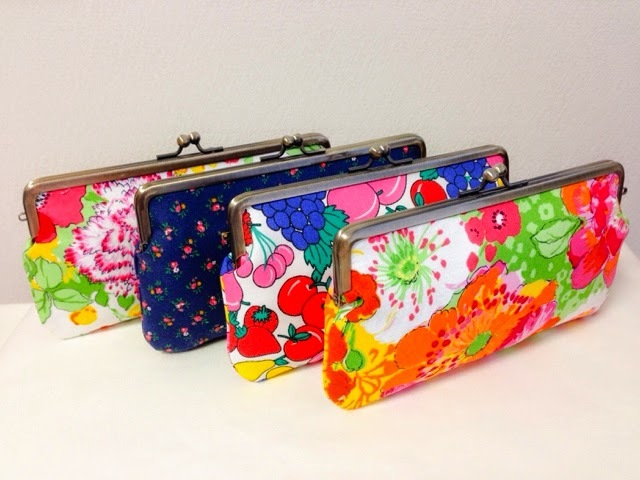 Spring Flavor: New items: Frame purse for pencil case, iPhone case, and cosmetic bag. New items: Frame purse for pencil case, iPhone case, and cosmetic bag. It's small clutches for pencil/stationary case, iPhone/iPod case, and cosmetic bag. No pocket inside. Made using Import fabric or Vintage fabric. Ready to ship. Coming soon on Etsy.